This is Island of the Moon Apiaries’ California’s quintessential varietal honey. Southern California is home to this country’s densest, most pure, orange orchards, and we proudly bottle the best we can find each year. California Orange Blossom Honey is an extra light, amber colored honey with a delicate aroma and flavor exuding the essence of orange blossom, just as if you were standing in the middle of the orchard. 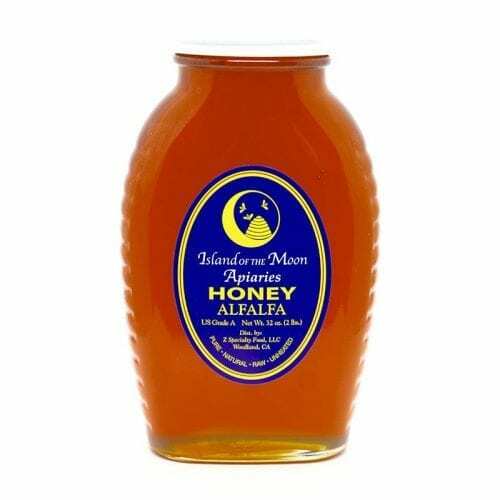 This is a great honey to use as your every day honey, especially delicious when paired with cheese, crackers, and a slice of fresh pear. All natural and kosher.